"CMMI" redirects here. For the US government organization, see Center for Medicare and Medicaid Innovation. Capability Maturity Model Integration (CMMI) is a process level improvement training and appraisal program. Administered by the CMMI Institute, a subsidiary of ISACA, it was developed at Carnegie Mellon University (CMU). It is required by many DoD and U.S. Government contracts, especially in software development. CMU claims CMMI can be used to guide process improvement across a project, division, or an entire organization. 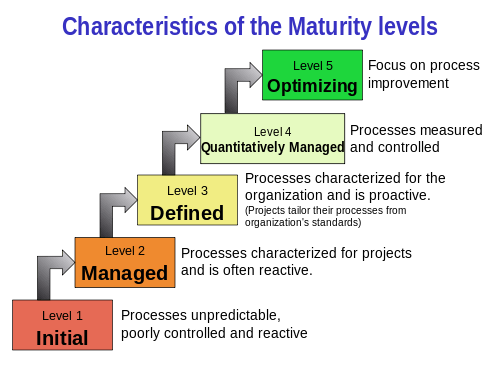 CMMI defines the following maturity levels for processes: Initial, Managed and Defined. Currently supported is CMMI Version 1.3. CMMI is registered in the U.S. Patent and Trademark Office by CMU. Characteristics of the Maturity levels. CMMI was developed by a group of experts from industry, government, and the Software Engineering Institute (SEI) at CMU. CMMI models provide guidance for developing or improving processes that meet the business goals of an organization. A CMMI model may also be used as a framework for appraising the process maturity of the organization. 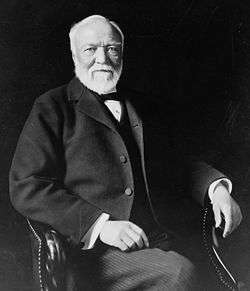 By January 2013, the entire CMMI product suite was transferred from the SEI to the CMMI Institute, a newly created organization at Carnegie Mellon. CMMI originated in software engineering but has been highly generalized over the years to embrace other areas of interest, such as the development of hardware products, the delivery of all kinds of services, and the acquisition of products and services. The word "software" does not appear in definitions of CMMI. This generalization of improvement concepts makes CMMI extremely abstract. It is not as specific to software engineering as its predecessor, the Software CMM (CMM, see below). CMMI was developed by the CMMi project, which aimed to improve the usability of maturity models by integrating many different models into one framework. The project consisted of members of industry, government and the Carnegie Mellon Software Engineering Institute (SEI). The main sponsors included the Office of the Secretary of Defense (OSD) and the National Defense Industrial Association. CMMI is the successor of the capability maturity model (CMM) or Software CMM. The CMM was developed from 1987 until 1997. In 2002, CMMI Version 1.1 was released, Version 1.2 followed in August 2006, and CMMI Version 1.3 in November 2010. Some of the major changes in CMMI V1.3  are the support of Agile Software Development, improvements to high maturity practices  and alignment of the representation (staged and continuous). According to the Software Engineering Institute (SEI, 2008), CMMI helps "integrate traditionally separate organizational functions, set process improvement goals and priorities, provide guidance for quality processes, and provide a point of reference for appraising current processes." In March 2016, the CMMI Institute was acquired by ISACA. CMMI exists in two representations: continuous and staged. The continuous representation is designed to allow the user to focus on the specific processes that are considered important for the organization's immediate business objectives, or those to which the organization assigns a high degree of risks. The staged representation is designed to provide a standard sequence of improvements, and can serve as a basis for comparing the maturity of different projects and organizations. The staged representation also provides for an easy migration from the SW-CMM to CMMI. For more details on this topic, see Process area (CMMI). Depending on the CMMI areas of interest (acquisition, services, development) used, the process areas it contains will vary. Process areas are the areas that will be covered by the organization's processes. The table below lists the collection of seventeen CMMI core process areas that are present for all CMMI areas of interest in CMMI Version 1.3. CMMI best practices are published in documents called models, each of which addresses a different area of interest. The current release, CMMI Version 1.3, provides models for three areas of interest: development, acquisition, and services. CMMI for Development (CMMI-DEV), v1.3 was released in November 2010. It addresses product and service development processes. CMMI for Acquisition (CMMI-ACQ), v1.3 was released in November 2010. It addresses supply chain management, acquisition, and outsourcing processes in government and industry. CMMI for Services (CMMI-SVC), v1.3 was released in November 2010. It addresses guidance for delivering services within an organization and to external customers. An organization cannot be certified in CMMI; instead, an organization is appraised. Depending on the type of appraisal, the organization can be awarded a maturity level rating (1-5) or a capability level achievement profile. Appraisals of organizations using a CMMI model must conform to the requirements defined in the Appraisal Requirements for CMMI (ARC) document. There are three classes of appraisals, A, B and C, which focus on identifying improvement opportunities and comparing the organization’s processes to CMMI best practices. Of these, class A appraisal is the most formal and is the only one that can result in a level rating. Appraisal teams use a CMMI model and ARC-conformant appraisal method to guide their evaluation of the organization and their reporting of conclusions. The appraisal results can then be used (e.g., by a process group) to plan improvements for the organization. The Standard CMMI Appraisal Method for Process Improvement (SCAMPI) is an appraisal method that meets all of the ARC requirements. Results of a SCAMPI appraisal may be published (if the appraised organization approves) on the CMMI Web site of the SEI: Published SCAMPI Appraisal Results. SCAMPI also supports the conduct of ISO/IEC 15504, also known as SPICE (Software Process Improvement and Capability Determination), assessments etc. This approach promotes that members of the EPG and PATs be trained in the CMMI, that an informal (SCAMPI C) appraisal be performed, and that process areas be prioritized for improvement. More modern approaches, that involve the deployment of commercially available, CMMI-compliant processes, can significantly reduce the time to achieve compliance. SEI has maintained statistics on the "time to move up" for organizations adopting the earlier Software CMM as well as CMMI. These statistics indicate that, since 1987, the median times to move from Level 1 to Level 2 is 23 months, and from Level 2 to Level 3 is an additional 20 months. Since the release of the CMMI, the median times to move from Level 1 to Level 2 is 5 months, with median movement to Level 3 another 21 months. These statistics are updated and published every six months in a maturity profile. The Software Engineering Institute’s (SEI) Team Software Process methodology and the use of CMMI models can be used to raise the maturity level. A new product called Accelerated Improvement Method (AIM) combines the use of CMMI and the TSP. While they do not affect maturity or capability levels, these process areas can be reported in appraisal results. The SEI published that 60 organizations measured increases of performance in the categories of cost, schedule, productivity, quality and customer satisfaction. The median increase in performance varied between 14% (customer satisfaction) and 62% (productivity). However, the CMMI model mostly deals with what processes should be implemented, and not so much with how they can be implemented. These results do not guarantee that applying CMMI will increase performance in every organization. A small company with few resources may be less likely to benefit from CMMI; this view is supported by the process maturity profile (page 10). Of the small organizations (<25 employees), 70.5% are assessed at level 2: Managed, while 52.8% of the organizations with 1001–2000 employees are rated at the highest level (5: Optimizing). Interestingly, Turner & Jain (2002) argue that although it is obvious there are large differences between CMMI and agile methods, both approaches have much in common. They believe neither way is the 'right' way to develop software, but that there are phases in a project where one of the two is better suited. They suggest one should combine the different fragments of the methods into a new hybrid method. Sutherland et al. (2007) assert that a combination of Scrum and CMMI brings more adaptability and predictability than either one alone. David J. Anderson (2005) gives hints on how to interpret CMMI in an agile manner. CMMI Roadmaps, which are a goal-driven approach to selecting and deploying relevant process areas from the CMMI-DEV model, can provide guidance and focus for effective CMMI adoption. There are several CMMI roadmaps for the continuous representation, each with a specific set of improvement goals. Examples are the CMMI Project Roadmap, CMMI Product and Product Integration Roadmaps  and the CMMI Process and Measurements Roadmaps. These roadmaps combine the strengths of both the staged and the continuous representations. The combination of the project management technique earned value management (EVM) with CMMI has been described (Solomon, 2002). To conclude with a similar use of CMMI, Extreme Programming (XP), a software engineering method, has been evaluated with CMM/CMMI (Nawrocki et al., 2002). For example, the XP requirements management approach, which relies on oral communication, was evaluated as not compliant with CMMI. CMMI can be appraised using two different approaches: staged and continuous. The staged approach yields appraisal results as one of five maturity levels. The continuous approach yields one of four capability levels. The differences in these approaches are felt only in the appraisal; the best practices are equivalent and result in equivalent process improvement results. 1 2 3 4 Sally Godfrey (2008) What is CMMI ?. NASA presentation. Accessed 8 dec 2008. ↑ CMMI Overview. Software Engineering Institute. Accessed 16 February 2011. ↑ For the latest published CMMI appraisal results see the SEI Web site. ↑ "Standard CMMI Appraisal Method for Process Improvement (SCAMPISM) A, Version 1.2: Method Definition Document". CMU/SEI-2006-HB-002. Software Engineering Institute. 2006. Retrieved 23 September 2006. ↑ "Process Maturity Profile". Retrieved 2011-02-16. ↑ "CMMI Performance Results of CMMI". Retrieved 2006-09-23. "CMMI for Development, Version 1.3" (PDF). CMMI-DEV (Version 1.3, November 2010). Carnegie Mellon University Software Engineering Institute. 2010. Retrieved 16 February 2011. "CMMI for Acquisition, Version 1.3" (PDF). CMMI-ACQ (Version 1.3, November 2010). Carnegie Mellon University Software Engineering Institute. 2010. Retrieved 16 February 2011. "CMMI for Services, Version 1.3" (PDF). CMMI-SVC (Version 1.3, November 2010). Carnegie Mellon University Software Engineering Institute. 2010. Retrieved 16 February 2011. "Process Maturity Profile (Current and Past Releases)" (PDF). CMMI for Development SCAMPI Class A Appraisal Results. Software Engineering Institute. Retrieved 16 February 2011. "Appraisal Requirements for CMMI, Version 1.2 (ARC, V1.2)" (PDF). Carnegie Mellon University Software Engineering Institute. 2006. Retrieved 16 February 2011. "Standard CMMI Appraisal Method for Process Improvement (SCAMPI) A Version 1.2: Method Definition Document" (doc). Carnegie Mellon University Software Engineering Institute. 2006. Retrieved 22 August 2006. CMMI Guidebook Acquirer Team (2007). "Understanding and Leveraging a Supplier's CMMI Efforts: A Guidebook for Acquirers" (PDF). CMU/SEI-2007-TR-004. Software Engineering Institute. Retrieved 23 August 2007. "CMMI Version 1.3 Information Center". Software Engineering Institute. 2011. Retrieved 16 February 2011. "SEI Partner List". Software Engineering Institute. Retrieved 28 October 2006. "Optimiza formal announcement as CMMI-L3 and published on SEI website.". Software Engineering Institute. Retrieved 15 March 2011. SCAMPI Appraisal Results. The complete SEI list of published SCAMPI appraisal results. Wikimedia Commons has media related to Capability Maturity Model Integration.